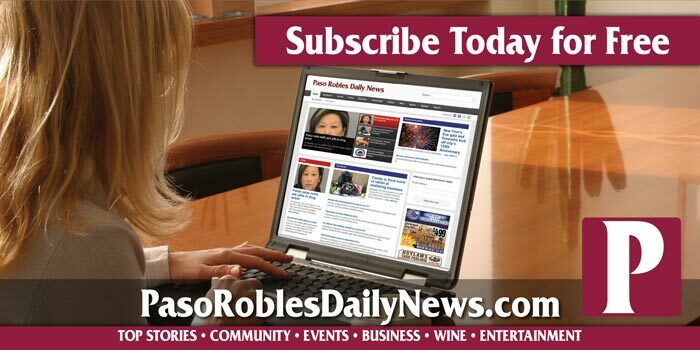 –After the busy holidays are over, treat yourself to a day downtown of strolling, sipping and nibbling gourmet goodies at 16 Paso Robles Downtown Wineries tasting rooms, all within walking distance, on Jan. 19. Enjoy a unique wine and food pairing and toast the new year with friends, old and new, at each stop. From Albariño to Zinfandel, taste the diversity Paso Robles wineries have to offer. Tickets are $40 and includes wine and food pairing at each participating tasting room and keepsake logo glass. Share your downtown wine tasting adventures on Facebook and Twitter with #tastedowntownpaso. Must be 21 or older to purchase tickets and taste wine.